Seat guests comfortably in the shade or sun with this Grosfillex US929721 Viva sage green / charcoal gray stacking side barstool! 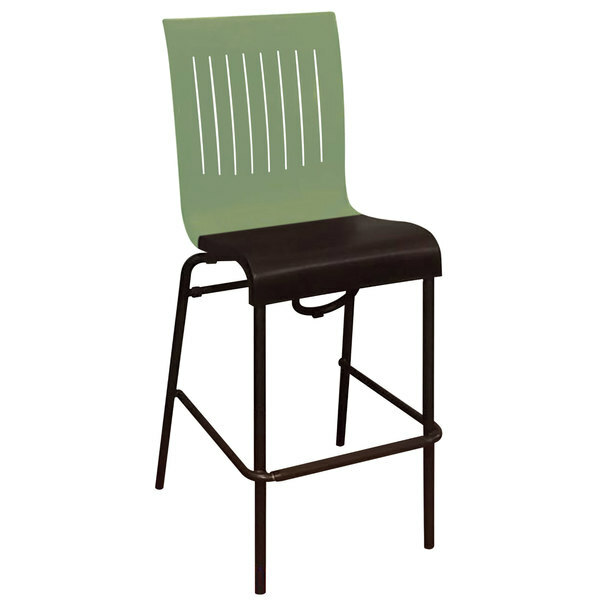 This attractive barstool is well-suited for commercial use and won't get hot or fade in the sun. Featuring a textured resin material for superior durability, this barstool ensures it can withstand repeated use. Perfect for outdoor cafes, resorts, and pools, the contrasting sage green and charcoal gray colors and sleek, contemporary design are sure to add a stylish touch to your indoor or outdoor dining area. With its assembled back and seat, this Viva barstool is easy to maintain and clean with just soap and water to keep it looking new. This barstool features a convenient footrest helps reduce the pressure on customers' legs and lower backs to promote optimum relaxation. Plus, its 1 1/4" square powder coated aluminum legs are also capped with glides that protect floors from scuff marks. 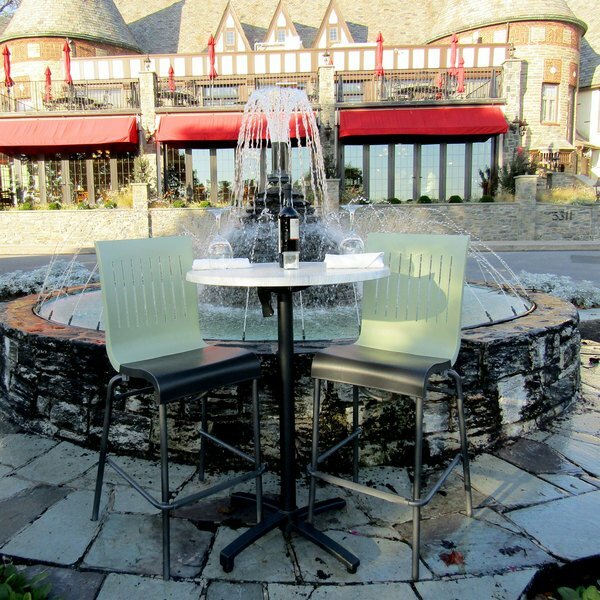 Provide your guests with this comfortable Viva side barstool as they enjoy your signature drinks, appetizers, entrees, and desserts!